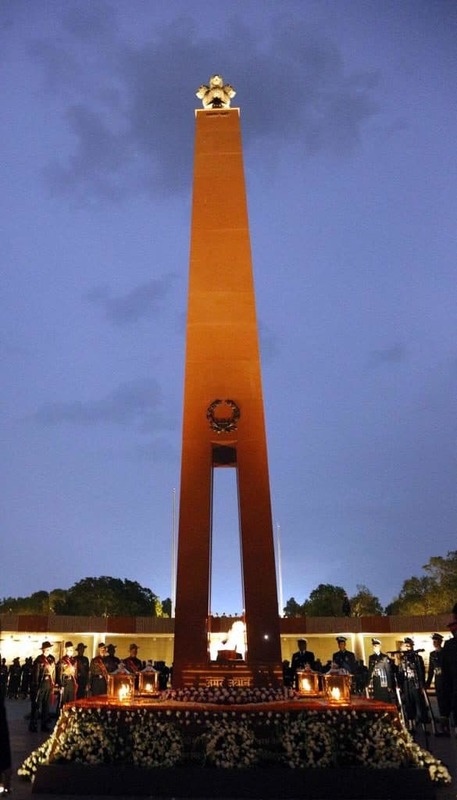 The National War Memorial near New Delhi India is spread over 40 acres. Recently inaugurated by the Indian Prime Minister, it observes those lost in wars dating back to the 1940s. 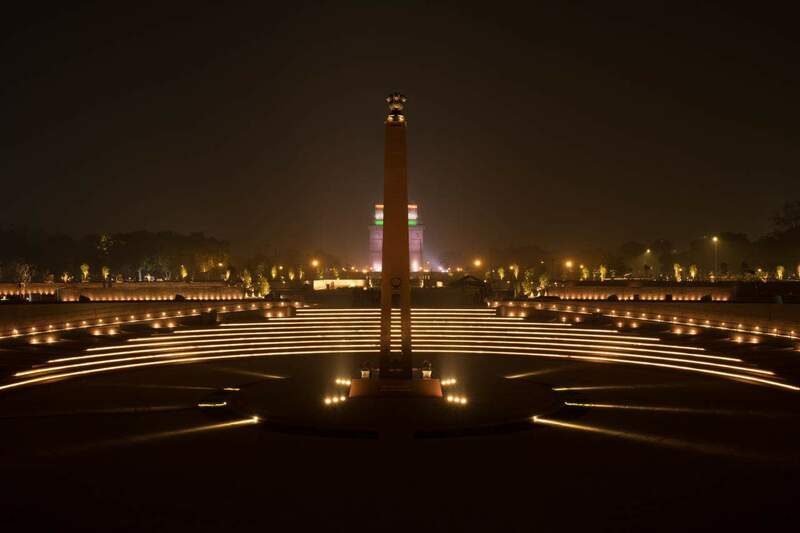 The Memorial has five concentric circles, a central obelisk under which is an “eternal flame” representing the immortal soldier (amar jawan). The innermost structure of the memorial complex is called the Amar Chakra (Circle of Immortality). The structures surrounding are the Veerta Chakra (Circle of Bravery), the Tyag Chakra (Circle of Sacrifice) and the Rakshak Chakra (Circle of Protection).